Company Law Solutions can draft new articles or amendments to articles for all purposes. Directors’ powers and responsibilities, directors’ meetings, directors' appointment, resignation and removal, directors’ remuneration, classes of shares, issuing shares, share certificates, share transfers, paying dividends, organisation of general meetings, such as notice of meetings, voting rights and proxies, quorum, etc. Until the provisions of the Companies Act 2006 came into effect, companies had two documents, the memorandum of association and the articles of association (collectively known as the memorandum and articles). Most companies had articles based on a specimen set of articles called Table A (originally to be found in earlier Companies Acts, but since 1985 set out in successive statutory instruments). From 1st. October 2009 completely new documents came into effect. The traditional memorandum of association was abolished, so that all the constitutional provisions are now contained in the articles. Apart from many companies limited by guarantee, nearly all companies set up after that date will not have the statement of objects or an authorised share capital. which were the main contents of the memorandum, as these are no longer statutory requirements. The new articles are based on a new standard document called the Model Articles. Of course many companies still exist with the memorandum and articles they had before that date. Ordinary commercial companies registered under the new Act will have articles based on the new Model Articles. They set out the rules for running the company and are a contract between the company and its shareholders, broadly the equivalent of a partnership agreement. Because the contain the shareholders' rights in the company, it is essential that they contain the right provisions for this particular company. Company Law Solutions can draft articles for every type of company. A company may have the articles with which it is registered, or they may be amended from time to time, usually by adopting entirely new articles. Most companies are set up using standard documents belonging to the company registration agents or solicitors undertaking the formation. Such documents are based on the new Model Articles (a government approved standard document), with or without amendment, but are inevitably a compromise. They work perfectly well for a single person company. Where two or more people are going into business together, they really do need to ensure that their agreement is contained in appropriate articles and/or a separate shareholders' agreement. Not having the right provisions in the articles could have serious consequences at some future stage, particularly if a dispute should arise between the directors and/or shareholders of the company. The following is a guide to the key elements of company articles, outlining the most important provisions to consider when setting up a company. They outline the main features of the standard documents used by Incorporation Services Limited and some suggested alternative provisions. Drafting articles is a complex business. The suggestions below will, between them, deal with the majority of cases, but there may be other options which can be considered if they appear not to be suitable. In many cases a shareholders' agreement will also be essential. If you require further advice, please contact us. Most companies have just £1 ordinary shares. 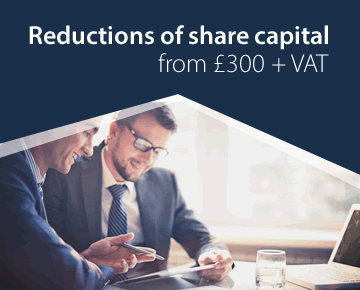 There can be many reasons for creating different classes of shares, including for tax reasons, such as when special shares are created for employees, or members of the shareholders' families. 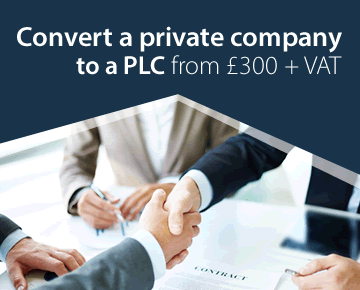 Company Law Solutions can advise on and create special classes of shares for particular purposes and their website gives further details about share classes. requiring the written consent of all existing shareholders before new shares can be issued. Company Law Solutions can advise on share allotments and their website gives further details about allotment procedures, etc. that some classes of shares are treated differently from others. 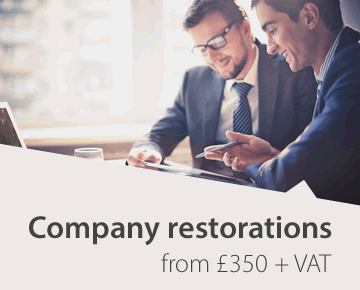 Company Law Solutions have many years of experience of drafting such provisions and more details can be found on their website. General meetings are meetings of the shareholders where the most important decisions are made. Most decisions are made by passing an ordinary resolution, which requires just a simple majority of those who vote. Some decisions, e.g. to alter the articles, require a special resolution, which has to be passed by a three-quarters majority of those who vote. At this meeting, if a poll is demanded, each shareholder has the number of votes conferred by the shares they hold (usually one vote per share). A frequently amended provision is to fix the quorum as something other than two (the standard provision). This can be very important as a means of protecting shareholders from an important meeting being conducted without them. to remove the restrictions on a director who has an interest in a transaction from voting and counting in the quorum for the meeting. 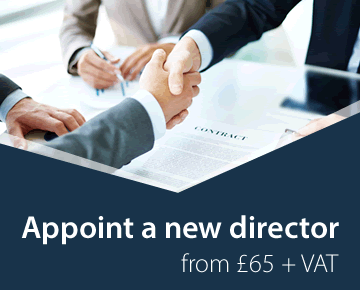 The Model Articles' provisions on the appointment of directors are that the board or the general meeting can at any time appoint an additional director. As to removal of directors, a very important provision of the Companies Act 2006 (sec168) is that any director can be removed by an ordinary resolution of the members. The Model Articles also provide for automatic cessation of office in certain circumstances (e.g. where a director becomes bankrupt or disqualified from acting). These provisions can be very important. Take, for example, a typical three-person company in which all three are directors holding one-third of the shares each. Under the standard provisions any two of the three can appoint additional directors to the board against the wishes of the third shareholder, and can even remove that third person as a director. to include 'enhanced voting rights' so that a director who is also a shareholder cannot in practice be removed by ordinary resolution. The above comments are just a guide to some of the more common amendments to the standard articles. A company's articles should be drafted to suit the particular company. Company Law Solutions provides a full drafting service for companies in England and Wales, Scotland and Northern Ireland. A company registered before that date will have both memorandum and articles drafted under the old law until such time as it decides to adopt new articles. The memorandum will contain the company's name, situation of registered office, objects, a statement of limited liability and authorised share capital. Statements of objects and authorised capital are no longer required, but a company with a memorandum will still be bound by these statements until it alters the documents to remove them. The company can continue to operate under its old memorandum and articles, but the references to Companies Acts before 2006 will be to now outdated provisions, and there will often be provisions in the memorandum and articles that are now contrary to the current statutory rules. The coming into effect of the provisions of the Companies Act 2006 relating to memoranda and articles does not, of itself, affect existing companies. A company registered before 1st. October 2009 will retain its memorandum and articles. The provisions in the memorandum are deemed to have become part of the articles on that date (Companies Act 2006, sec28). See our separate page on updating articles. If the company wants to update its articles to take advantage of the new provisions, it can do so by adopting new articles. This can be done by passing a special resolution. A company that does not do this will continue to be regulated by its existing memorandum and articles and, in particular, will still be bound by its objects clause and cannot issue shares beyond its authorised capital. All companies should review the existing provisions of their memorandum and articles. In some cases it will be important to update the documents by adopting new articles. In other cases, the existing articles may well serve without amendment for the time being, though there will be some provisions that are now contrary to new legislation. Company Law Solutions provides a service for updating articles, and can advise whether this would be necessary or desirable for your company.